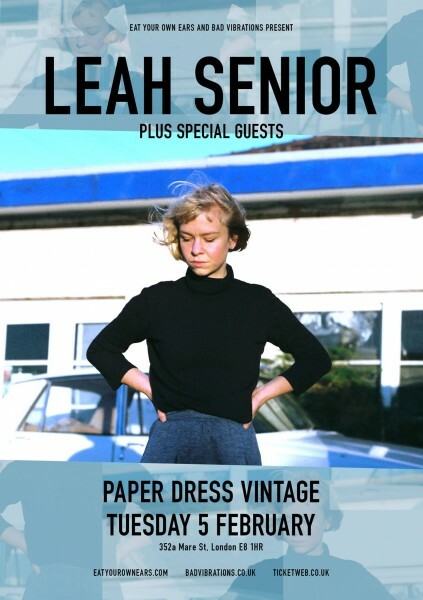 EYOE and Bad Vibrations present Leah Senior at Paper Dress Vintage on 5 February. “Leah Senior is an amazing folk singer, very, very talented, and nothing like King Gizz’s music at all. her songs equally terrifying, joyous, sad and exciting. We get chills watching her perform” – King Gizzard and The Lizard Wizard.